Recently I watched the 1997 British comedy drama film “The Full Monty” again. The reason why I love it is that it’s about “little” people deciding not to be controlled by their circumstances. Six men who in their different ways are suffering during the decline of the Sheffield steel industry, decide to do something nobody believes they can deliver on. demonstrate that we will not allow ourselves to be controlled by our circumstances. This is a universal message, relevant in so many different ways in today’s society. This is why “The Full Monty” is an inspiration to its audiences and why, using humour, it delivers a powerful truth, relevant to all our lives. We’re familiar with the phrase postmodern and more recently with the notion of post-truth. But now I think, for writers, it is true that there is a post-storytelling phenomenon – which moves beyond and over-turns current rules. And it’s illustrated in the scripts that Steven Moffatt and Mark Gatiss create for their TV drama series Sherlock. It is now becoming more and more acceptable for audiences, on first viewing, to be confused by a story, but to stick with it for the sake of their love of the characters. This is certainly true of the most recently aired Sherlock episode: The Final Problem which presented a great challenge to the brilliant acting skills of Benedict Cumberbatch, Martin Freeman and Mark Gatiss. Clues as to what is or might be going on are planted in the current or the previous episodes, and because audiences can now view the episode many times, story-tellers are exploring new territory to take advantage of this. Moving seamlessly between what’s in the mind and what’s actually happening in the physical world, Moffat and Gatiss break genre expectations (for which I here use the word rules – for so long as they can be deemed to exist) to involve their characters in events in the physical world whilst they remain free of the natural consequences, by some means which is not clear – other than through the clues I mention above. The popularity of the story of the modern Sherlock Holmes and John Watson itself seems to justify the transgression of the rules – or the pushing of these rules to their extremes – just like the characters themselves. We saw Moffatt and Gatiss work brilliantly with a terrifying metaphor – a little girl the sole conscious person on board an aeroplane in mid-flight, needing to be talked into landing the craft. This was very archetypal and the stuff of nightmare, and a powerful metaphor for a small child under stress. But it’s not clear until the very end that this scenario is not happening in the physical world, but it is a metaphor, and in the mind. I remember well how I felt when I read that story – I was every bit as gripped by that as by watching the latest Sherlock episode on TV. So the Moffatt-Gatiss Sherlock is true to the original in this respect. Moffatt and Gatiss are replicating this factor using very impressionistic stylistic techniques made possible by today’s film/TV technology. The very essence of Sherlock Holmes’ intellectual genius is his ability to make cool, measured calculations based on reason, whilst in a situation where the majority of people would be undermined by tumultous emotions. But right at the centre of The Final Problem, is Sherlock’s discovery not of his intellectual genius, but of his heart. The appearance of Lestrade at the end and John in the blanket is so reassuring and comforting – “order is restored, John’s in a blanket just as Sherlock was in the very first episode of all, A Study in Pink…. and Sherlock has saved him through supreme reasoning powers allied to his loyalty – and he has told Molly he loves her (twice, and sounding genuine).” So Sherlock has a heart. If he had a choice to live without John’s friendship and loyalty, or to live without Mycroft’s power and intellect, he would choose the second; and when no words could be used to communicate with his profoundly damaged sister Eurus, he alone communicated with her – using his violin. All in all – on first viewing we are confused, but still electrified – and we love and care for the characters more than ever. During the course of this blog I’ve written about sources of inspiration from many directions – from people, cities, landscape, history, buildings, travel, books, art, TV drama and films. Certainly films I love have enriched my creative life. Writers benefit from cross-fertilisation all the time! A few years ago my writer friend Meg Harper set up a film group, and we’ve been meeting ever since. At each meeting six of us watch a film together which one of us chose the last time, and then we discuss it. This way, I’ve seen several films which would otherwise never have come to my notice. Some of them have been brilliant and moving; films from Germany, France, Poland and India. Today I bring you an article by my media student daughter Abigail on the Film Debate website about her five recommended foreign language films. Pather Panchali, part of the Apu Trilogy (India); He Loves Me He Loves Me Not (France); Untouchable (France), Ida (Poland) and Run Lola Run (Germany). Do have a look at Abigail’s article and read about all these films. And I’d love to have your thoughts either in the comments here on this blog, or perhaps you may choose to comment directly on the Film Debate website. On the Graham Norton Show which was broadcast on BBC One on Friday 16th April 2016, actor Hugh Grant said he took on the role of St Clair Bayfield in the newly-released film Florence Foster Jenkins against his previous intentions, because a) the script was so good and b) because he was attracted by the three dimensional character he was being invited to play – which implies he thinks all his previous characters were one dimensional. Hugh said that the character he plays, St Clair Bayfield, is “a failed actor” who has chosen to protect Florence (played by the wonderful Meryl Streep) from true self-knowledge because he loves her. In the film, this character goes to extraordinary lengths to collude with Florence’s self-deception, by covering up her lack of ability as a singer and paying off bad reviewers and hiding her from the truth. In other words he does what seems to be cowardly, morally weak, wrong and even cruel, for complex reasons that are not straightforwardly immoral, and because he is emotionally invested in supporting her and upholding her in the dream she believes in. I haven’t seen the film yet and so cannot offer a review, but I was fascinated by the point Hugh Grant was making. Many love the characters Hugh has played so far during his film career, but his comments brought me back again to the vital importance of three dimensional characters, not only in persuading major actors to take on film roles, but also in winning success for a novel. Three dimensional characters in fiction are those whose actions, words, relationships, behaviour and inner life all work together to win our empathy. Just as the hallmark of a great leader is the ability to win people’s confidence, the sign of a great character in fiction is that we care for them deeply, whether their actions are “good” or “bad” or far less easily defined. Whilst reading a recent novel I was starting to intensely dislike a certain character, when his actions and behaviour were depicted from the viewpoint of someone else. But then the author took me into his viewpoint – and my attitude to him was transformed. I believe we only need to see and understand someone’s inner life, to feel that empathy for them. Do share in the comments. Which are your favourite three dimensional characters in fiction, and why? I’ve now finished my series of Cave posts as new inspiration has intervened! One of my fellow bloggers Lance Greenfield has just opened up thoughts of writers retreats by reblogging this post on the subject by Max Dunbar. Lance then went on to ask his own followers for their responses to Max’s thoughts, and whether it would be worthwhile for him to go on one of the many writers’ courses or retreats that are available here in the UK. Part of my inspiration for my novel Mystical Circles was an Arvon Foundation poetry course which I attended at Totleigh Barton farmhouse in Devon. 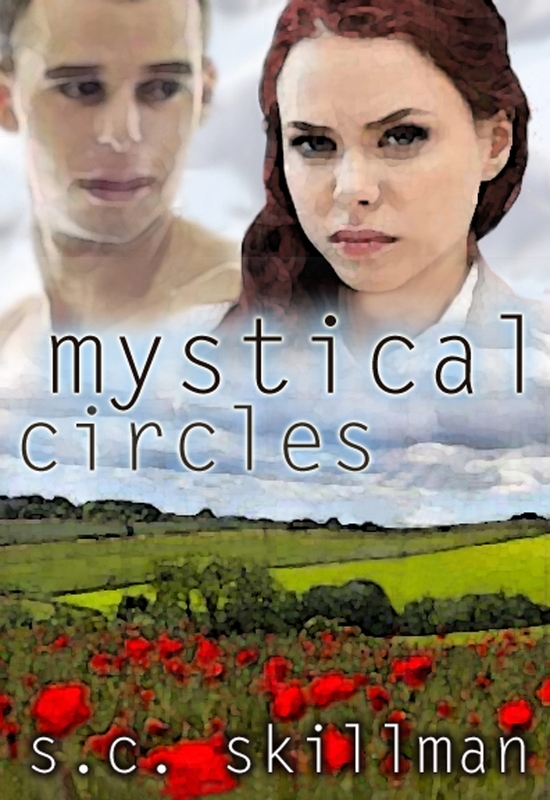 My fellow poets that week reflected the wide variety of characters to be found at a writers’ retreat in the UK – and in the story of Mystical Circles. Among these you may find – alongside whatever idiosyncracies you yourself may bring – several complex personalities; and your interactions with others, and your observations, form an inexhaustible source for a writer. And I believe it’s vital to write about people, no matter how deeply flawed, with love and empathy, never in a detached or critical spirit. If you’re fascinated by group dynamics and it’s relevant to what you’re writing, then a writers retreat – a small group of intense people in a hothouse atmosphere – may be ideal for you! 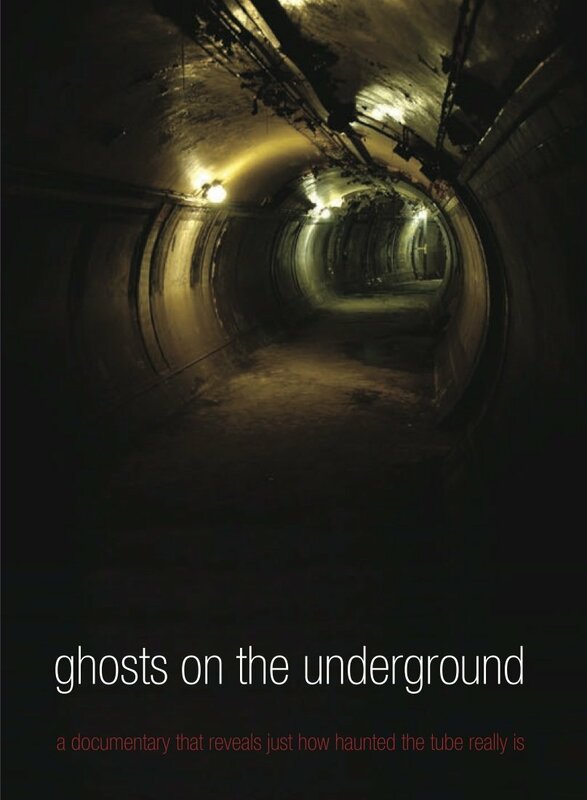 Recently my sister in Australia sent me a set of DVDs – ironically made in England, containing a documentary series on Great British Ghosts narrated by Michaela Strachan for the BBC. The set also included a third documentary, narrated by Paul McGann in a balanced, neutral tone, called Ghosts of the London Underground, and this was by far the most compelling of the three. Traditionally in England, sightings of ghosts such as grey ladies in sixteenth century properties can be attributed by sceptics to over sensitive or highly-imaginative people tuned in to the atmosphere whilst staying overnight in Tudor coaching inns. Beneath the ticket halls, walkways, escalators and tunnels through which so many people stream, carrying out their daily lives, there is another story: the lingering residue of the souls of people who died terrible and tragic deaths, and somehow imprinted a psychic recording into those tunnels; and not just the ones which have been abandoned. One day I believe we will fully understand why and how these things happen, but right now, to my knowledge, we have no satisfactory over-arching philosophy to account for these experiences. I shrink from believing that the soul of a human being can possibly be condemned to wander for years close to the place where they had the worst experience of their life on earth. And I cannot fathom why the essence of a person should continue to walk in the place where their life ended, apparently unaware of the fact that they’re dead. Yet living people have had and continue to have experiences which would indicate this as an immediate explanation. 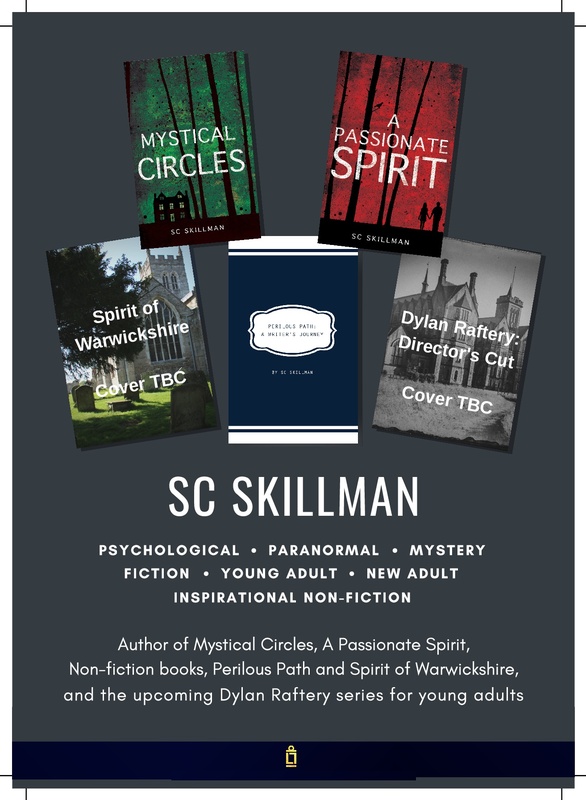 My new upcoming novel A Passionate Spirit contains several ghost stories and an element of the unexplained, and I admit to being fascinated by these phenomena. I used to love Tales of Mystery and Imagination on TV in the past, and not long ago read and reviewed Classic Tales of the Macabre by masters of the ghost story genre: a dazzling display of atmospheric writing from masters of the craft, that demonstrate the art of suspense, with the build-up of horror. The stories in this book are must-reads for anyone seeking to write in the genre nowadays; they range from supernatural to psychological subjects, and all of them are beautifully-written.. However there is another aspect of these experiences. If they are psychic recordings of energy, the fact that they draw the living to engage emotionally with certain tragic life events that happened to individuals in the past, is on one level a good thing. Of all the millions of beings who’ve been through this world, ghosts are few and far between. And many pass through leaving no mark at all. Nevertheless, there are a few who do indeed leave a mark. And people who’d otherwise be ignorant of their existence are drawn not only to them and to their story but in such a way that they engage emotionally with it. What we do with this idea depends on a number of factors, not least our worldview. From a Christian point of view, the fact that every diocese of the Church of England has a “deliverance ministry” (no longer using the term “exorcism”) this presupposes that Christians do actually accept the idea of “earthbound spirits” who need to be released. Christian theology asserts that each individual soul who has ever lived is loved by God. This is a promise to hold onto, for those of us who are drawn to investigating these ghostly encounters.